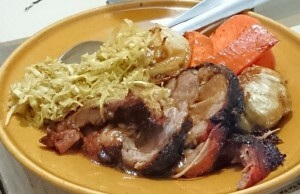 A classic Chinese pork dish… twisted and made utterly inauthentic. 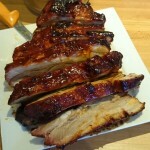 Char siu is a very tasty Chinese BBQ treatment commonly used for pork. 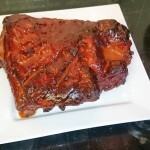 Typically prepared using pork neck this anise-spiced sticky-sweet red-hued barbecued pork is a staple of good Chinese restaurants back home in Australia. There’s a little clip about it on Australia’s SBS website here. Thinking of the challenge to make something interesting for a Christmas get-together I found char siu floating into mind for some reason. 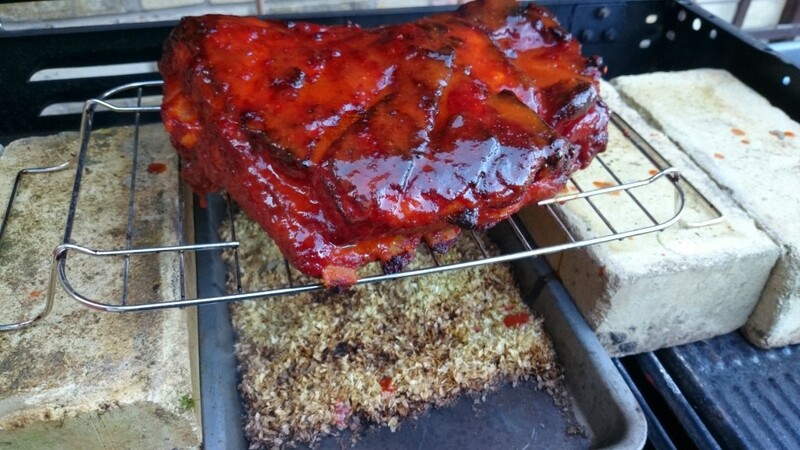 We were supposed to bring something traditionally Christmassy/celebratory for our cultural backgrounds… as an Aussie atheist I see this as “free reign” – food back home is diverse, “fusion” is king, and Christmastime is HOT summer BBQ season. But… how could I add my own twist. Obviously: add beer. The beer I’ve chosen is a light and mildly spicy-sweet Saison with a pleasant farmy edge and just a twist of sourness. It’s my own Patio Grape Saison in fact. In addition I’ve used beer ingredients in the making of this dish too: malt extract in the brine & sauce and hops to smoke with. 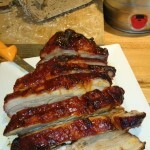 To make the dish even more luscious to suit the season I’ve also chosen to use pork belly rather than neck. Then to turn things up another notch I’m brining the belly for 24 hours prior to marinating for 12 hours in a char siu style marinade. 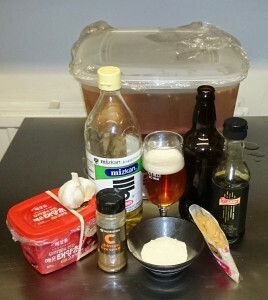 The brine is about 50% beer, with some spices added, the char siu marinade is also made with the beer instead of vinegar and wine. 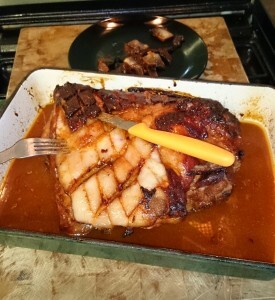 The pork belly is slow-roast in the oven whilst being basted with the marinade – and is then lightly smoked with hops and applewood. 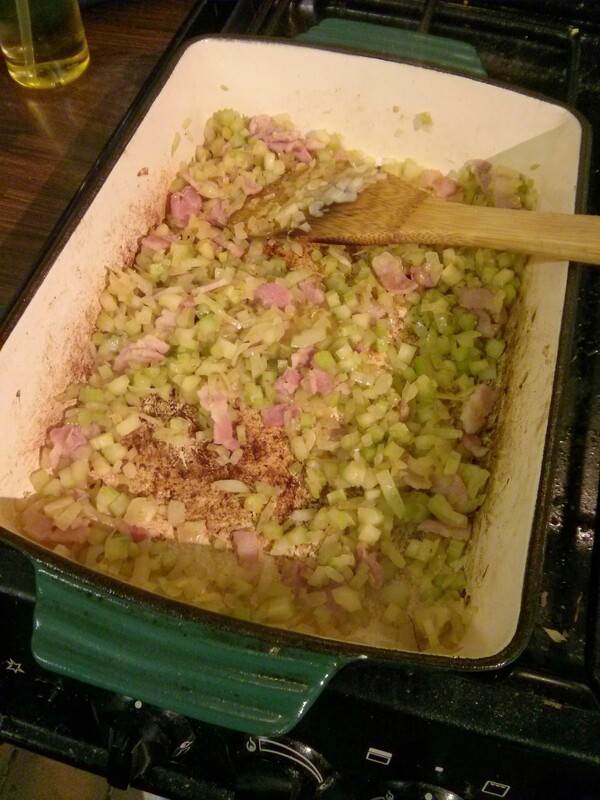 My kitchen was nearly swallowed by some kind of hipster black-hole during the creation of this recipe. a low-IBU (~20IBU) saison-style beer – or try anything you fancy, so long as it isn’t too bitter, I’d avoid IPAs. A really yummy hot & sweet paste available from Korean food stores but sometimes in other general Chinese/south-east-Asian stores. 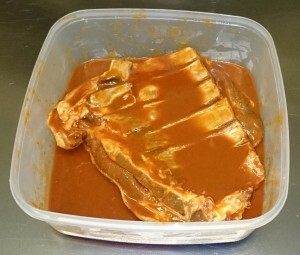 Sub in the same amount of tomato paste/concentrate if you cannot get the chilli paste and about 1 tsp of hot cayenne powder per tablespoon of paste. I’ve opted for a target 4% brine – to calculate the amount of salt weigh your pork belly in the brining container (~2200g in my case) and then fill with water until the belly is securely covered (about 1cm depth should do), remove the belly, and note the weight of the water (~2500g in my case). To calculate the amount of salt to use use 4% of the combined weight, i.e. (2500+2200)*0.04 = 188g. 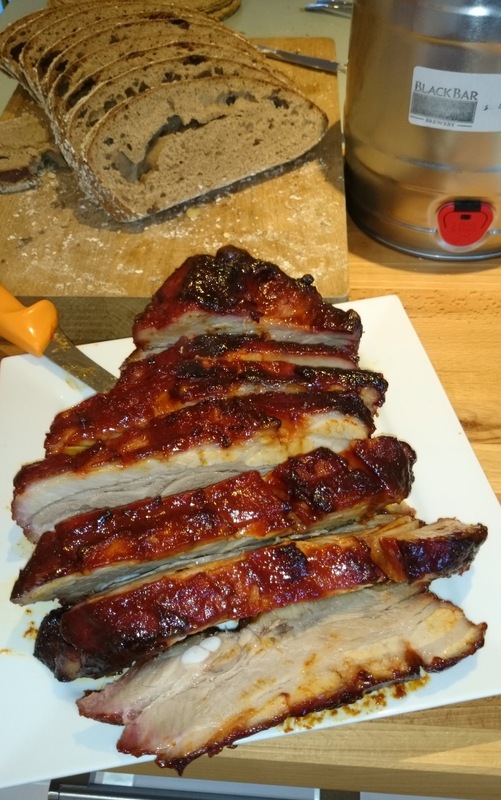 I should probably do other ingredients proportionally too… but so long as your pork belly is about 2kg the above should be good enough for replication. If repeating this myself I’d probably try a 3% target instead as the end product was just a little to the salty side. 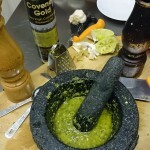 As ever do think about how to tweak it and make it your own, that’s the fun of cooking! 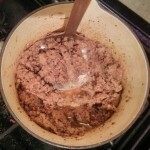 Crush the star anise in a mortar add ginger and garlic and pound them until roughly crushed. 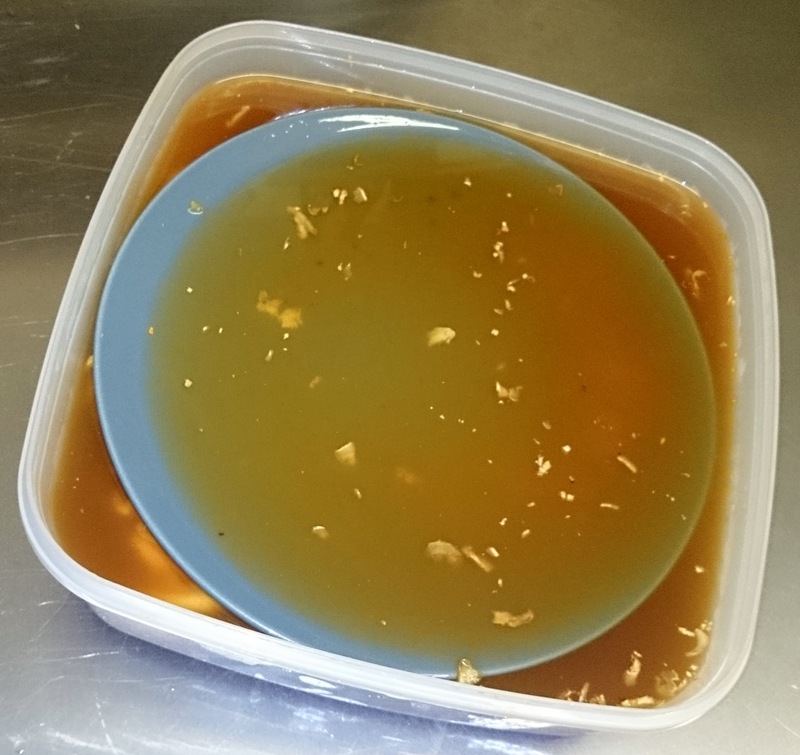 Put the salt, DME, garlic, ginger, star anise and chilli paste into a saucepan with 500ml of water. Heat until simmering and whisk vigorously until everything is combined and the salt dissolved. 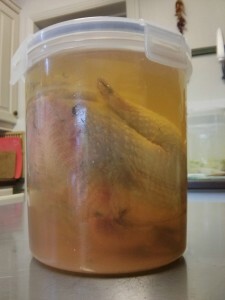 Put the remaining required cold water into the brining container (i.e. 2500ml – 500ml – 1000ml of beer = 1000ml cold water). 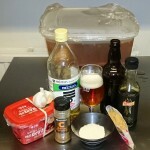 To this add the hot brine mixture and then pour in the litre of beer. 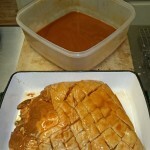 Submerge the pork belly in the brine. Weigh down with a plate. Cover and pop into the fridge for 24 hours. 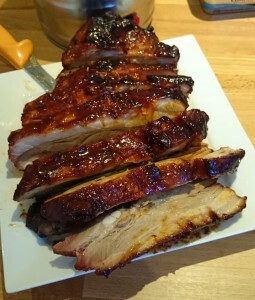 This marinade is loosely based on char siu recipes found online, many recipes use Hoisin sauce but that’s a bit cheaty to me so I’ve replicated the flavour in this marinade by using Korean chilli paste and some Japanese miso. 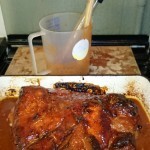 To add the beery edge to this marinade a large volume is made up of the same homebrew saison used in the brine plus the sweetener used is DME to add a Horlicks-like malty note. Easy to find in supermarkets. I’ve used shiro (white) miso – but would have used aka (red) if I’d had some handy. Pop all this into a small food processor and blitz until thoroughly combined. 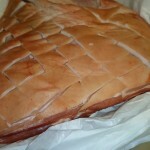 Remove the pork belly from the brine, tip brine out, rinse belly, and place back into emptied container. 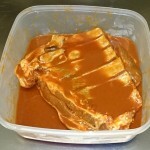 Slather with marinade, working into any nooks and crevices. 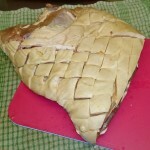 After three hours remove from the oven and carefully remove squares of skin that up until now have protected the underlying fat from burning. 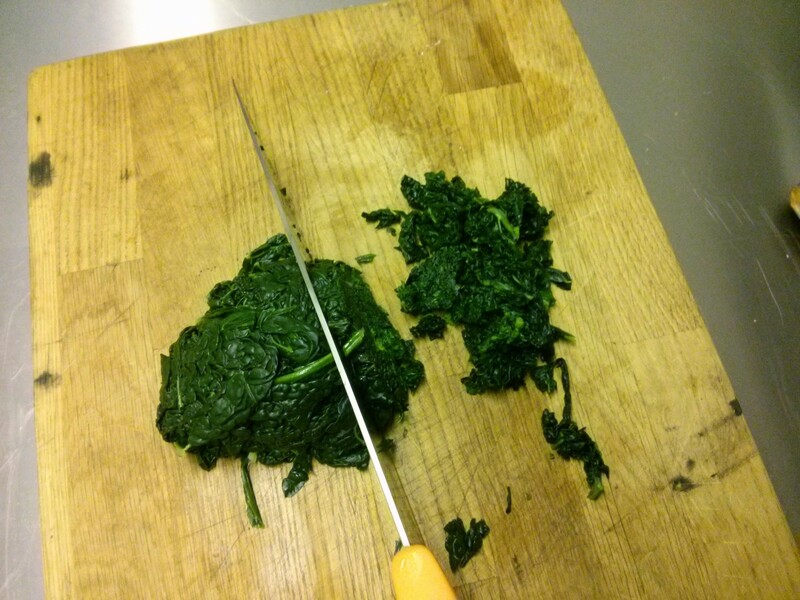 This is easy to do with a fork and a small knife. 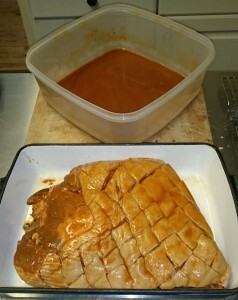 Baste thoroughly and pop back into the oven at 120C for another hour basting again after half an hour. 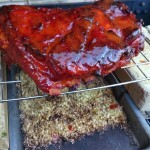 The light smoking has been done to add a more “BBQed” effect that you can’t get using an oven. 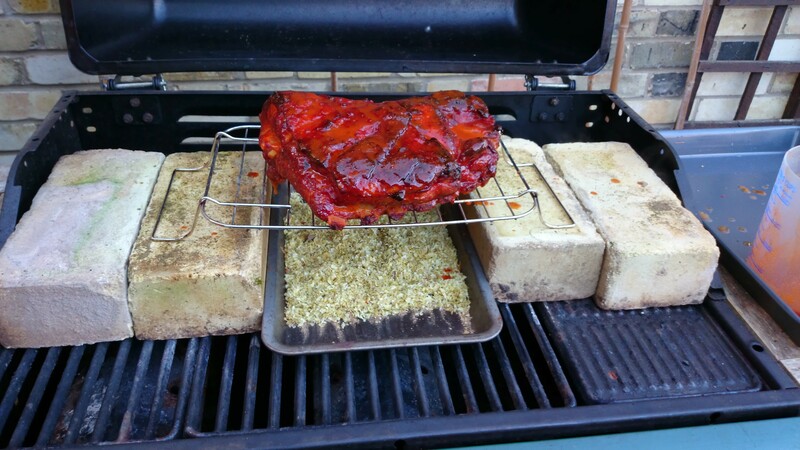 This smoking is entirely optional – or you may even be lucky enough to own the equipment to do that actual slow-roast in a smoker… in which case I envy you! 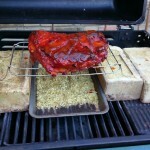 If you are going to do the smoking as I have done it then be prepared and ready to go when the slow roast is complete. 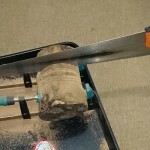 You can buy smoking sawdust online, but I have some applewood logs from a local orchard and I made my own sawdust by sawing cuts into a log with a hand-saw. This is proper “slow food”! Just a couple of good handfuls of sawdust is enough. I’ve also added hops to the smoking fuel – the smell when the hops are smoking is amazing (and may cause neighbourly raised eyebrows), I’m not sure how much difference using hops specifically makes to the smoked flavour though. 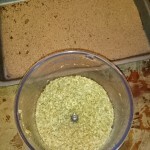 A couple of handfuls of hops are chopped thoroughly in a food processor. While the smoking is happening I strain all the leftover marinade and pan juices into a saucepan and then boil this down to a double-cream thickness (as observed in a blow-cooled soup-spoon of sauce). 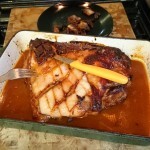 This sauce was pretty salty – use sparingly, I drizzled just a little on the pork and put the rest in a gravy jug. Stick the belly on a huge tray and give everyone a bun and a fork & knife! :) Two four six eight, BOG IN, don’t wait. I’m pretty sure the “beery” element came through in the pork, albeit as part of a melange of BIG flavours so this wasn’t all about the beer. More an underlying saison-booziness. 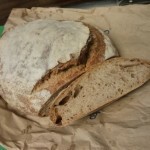 I made a sourdough based on the same saison to complement the pork – 80% white, 20% wholemeal, 50% liquid ingredient was the same beer used in the brine & marinade. 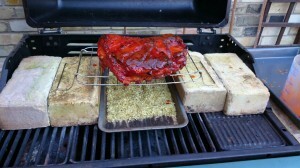 It soaked up the rich marinade juices wonderfully. 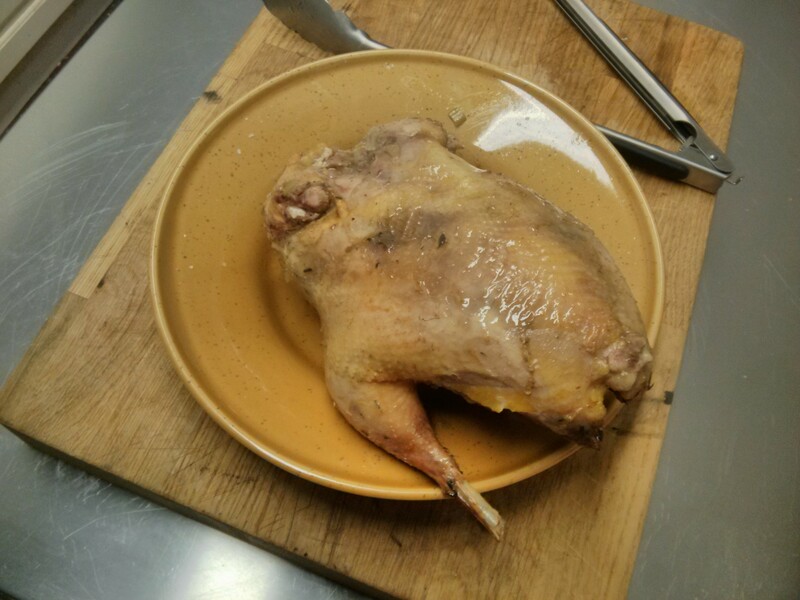 … though I prefer the sound of “Beerinated Pheasant“. 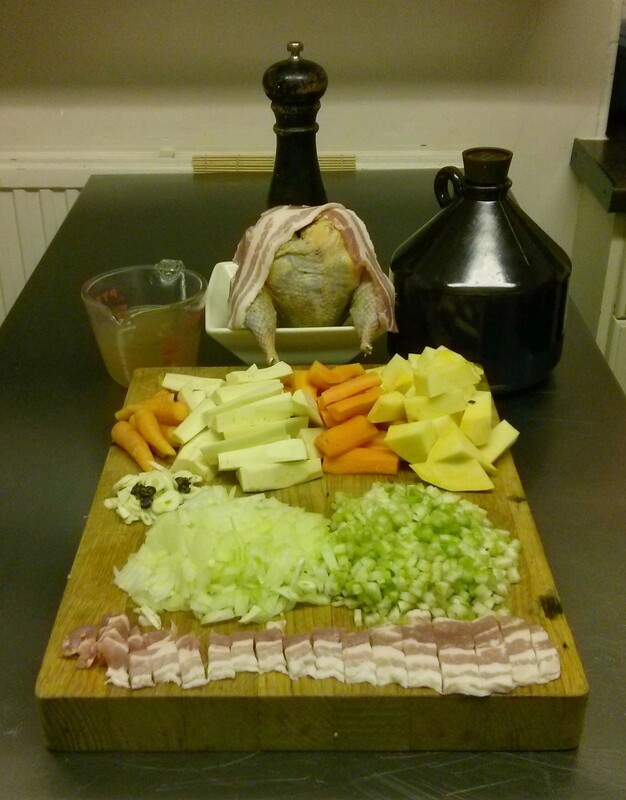 Anyway – the pheasant put me in mind of my old Poacher’s Pheasant Stew recipe, and I figured it was about time I did some beery cooking for this old blog thing. 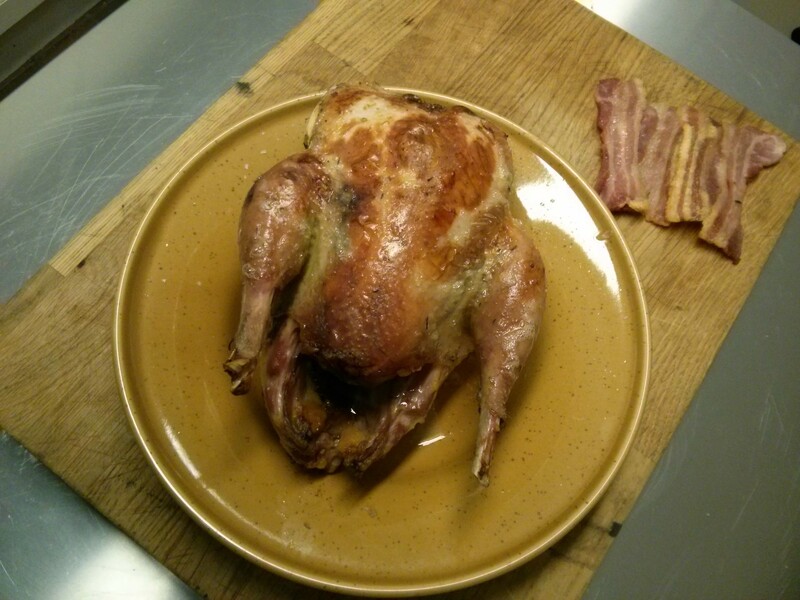 I’ve done beer brined chicken before and I figured: why not pheasant? 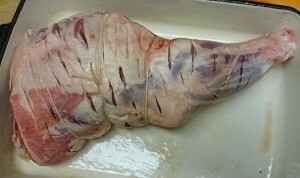 I work with a simple target 5% salt solution when brining like this, it’s hard to over-salt the bird at this strength but the solution is strong enough to have the desired affect. The recipe below is for just 1 litre of brine, as this plus one pheasant fits nicely into a 1.9 litre clip-seal container I have (see photo). You can easily make & add more brine if needed. Measure 50g of sea salt into a container. 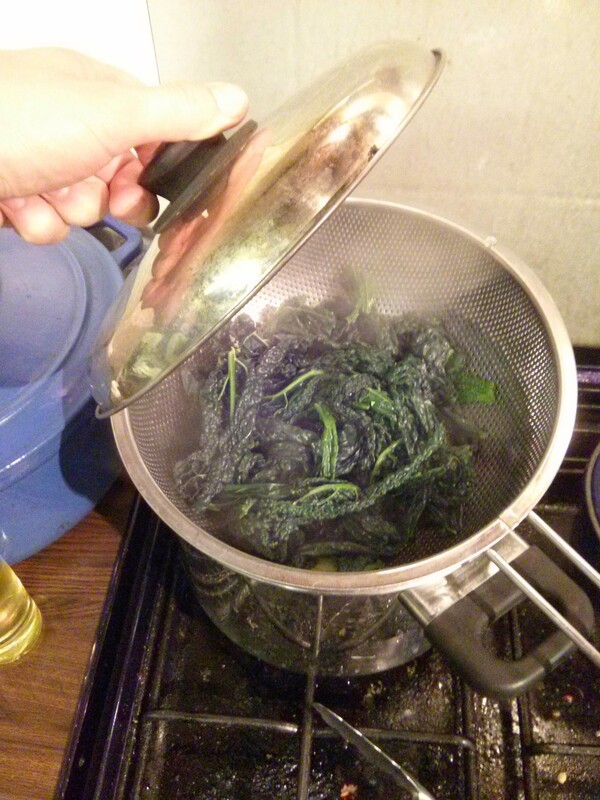 Add 100ml of hot water from a kettle and dissolve salt. Pour in a pint of beer – something not too bitter, a rich golden ale is good. Top up with cold water to make a litre of solution. The Beer: The beer I chose for this was a take-home pint of The Brew Company “Simcoe“ (3.8%) from my local, a light ale with very grapefruity flavour notes (thus it must be craft!). I’d have preferred something with a bit more malt richness in it, but there were only a couple of other ales on and one was a stout (too dark IMO) and the other too bitter. The Salt: I used Maldon Sea Salt, posh stuff but the only thing I have handy that doesn’t have “anti-caking agent” in it. When brining a general rule of thumb that I’ve picked up from my reading is to find a “plain” salt without additives. I’ve never actually tried brining with a salt that has anti-caking agent in it though, I expect it’d probably work out fine. 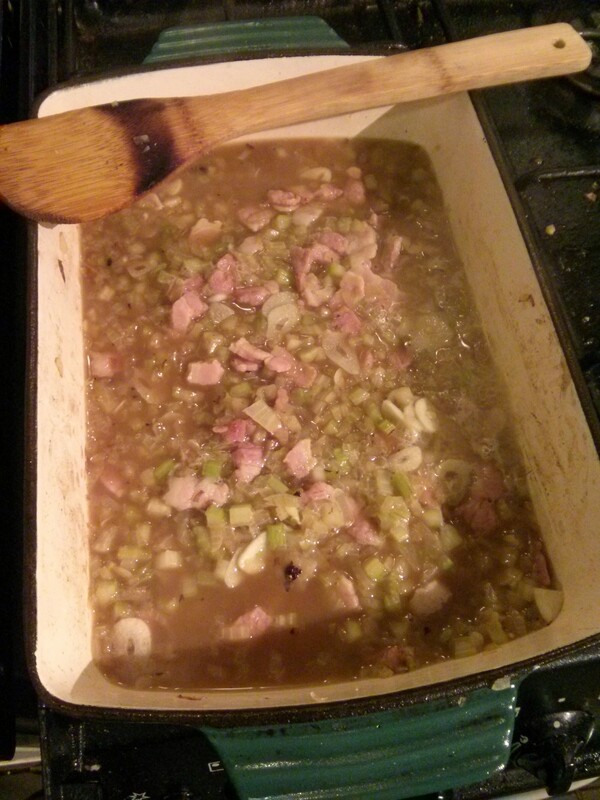 Other Flavours: If you like add other flavour ingredients to this at the start with the salt. 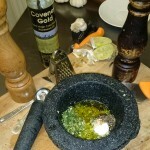 Bay leaves, juniper berries, a bit of rosemary, cracked black pepper, some crushed garlic… any of the “usual” aromatics. It helps if you give them a good crush or crumple. I’ve stuck with just beer because I was interested in how “beery” the bird would end up. 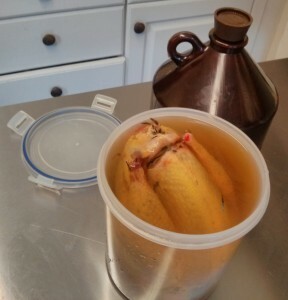 Brine It: Pop your pheasant into a container or suitably sized zip-lock bag and cover with brine. Ensure it is fully submerged. 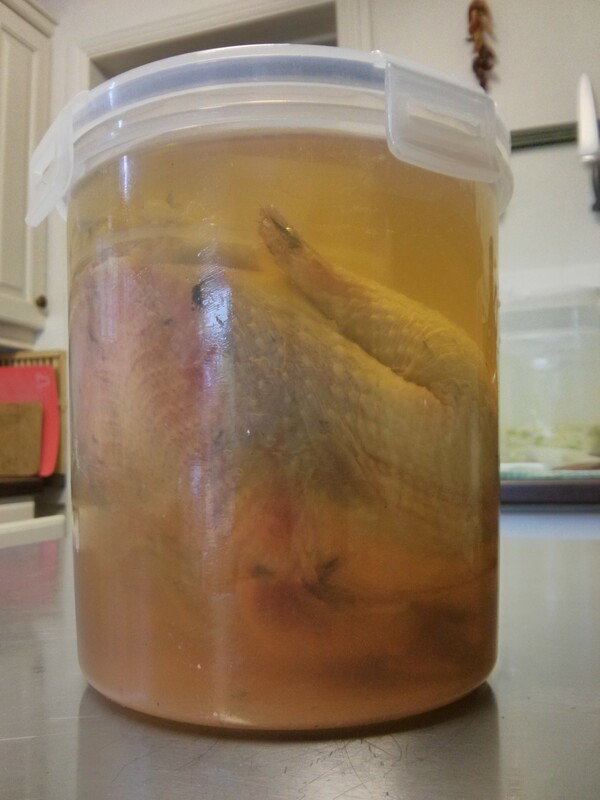 I’ve put a small plastic container under the lid of the bigger one to force the bird into the brine. 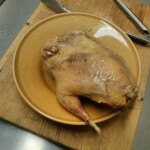 If you need more solution to cover your bird then make it up as 5:100 salt to water ratio. I.e. 500g (ml) or water (and/or beer) plus 25g of salt. 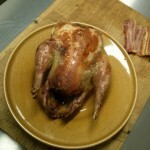 Time: Give the bird at least 24 hours in the brine, I’ve done a chicken for 48 hours before and it turned out fine. In fact with a bigger bird 48 hours might be better than 24. 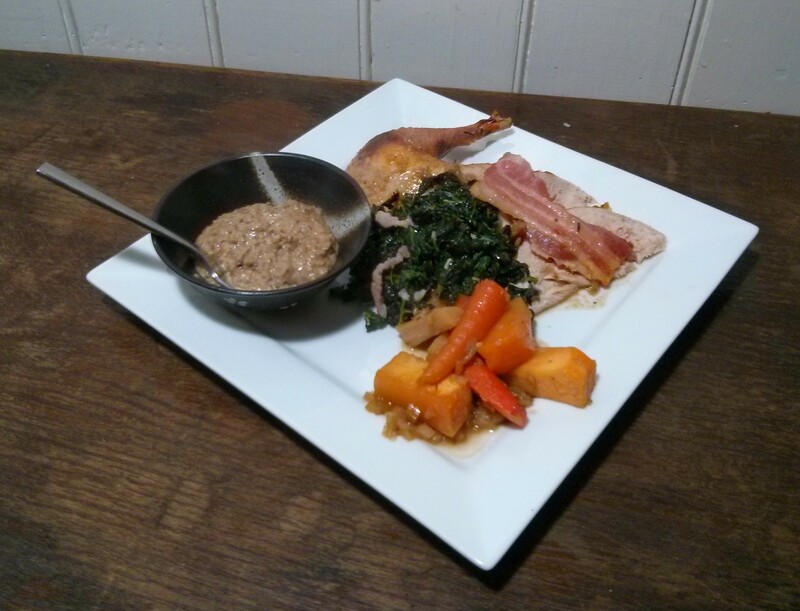 … with roast veg, garlicy bacon cavolo nero, and beery walnut bread sauce. A bit of cooking oil, salt, and pepper as required. 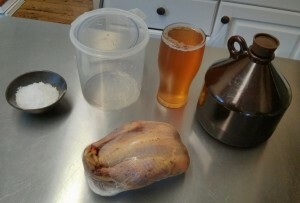 A whole beer-brined pheasant (as per above). Four and a half slices of unsmoked streaky bacon. A cup of chicken stock (game stock would be good, veal stock would do). 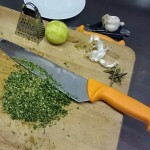 Four cloves of garlic – thinly sliced. 6 juniper berries – well squashed. A couple of sticks of celery – 5mm dice. A medium brown onion – 5mm dice. 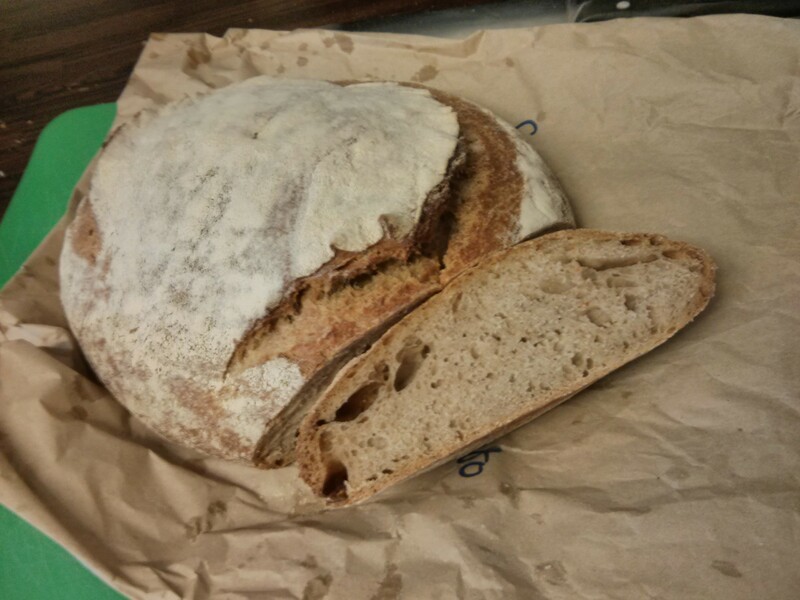 A slice of good firm bread – I’ve used a pretty rustic sourdough. Some walnuts – about 50g will do, chopped to “breadcrumb” consistency. A 20g knob of butter. Half a small brown onion – finely diced (2mm). A small garlic glove – crushed/grated/pasted. 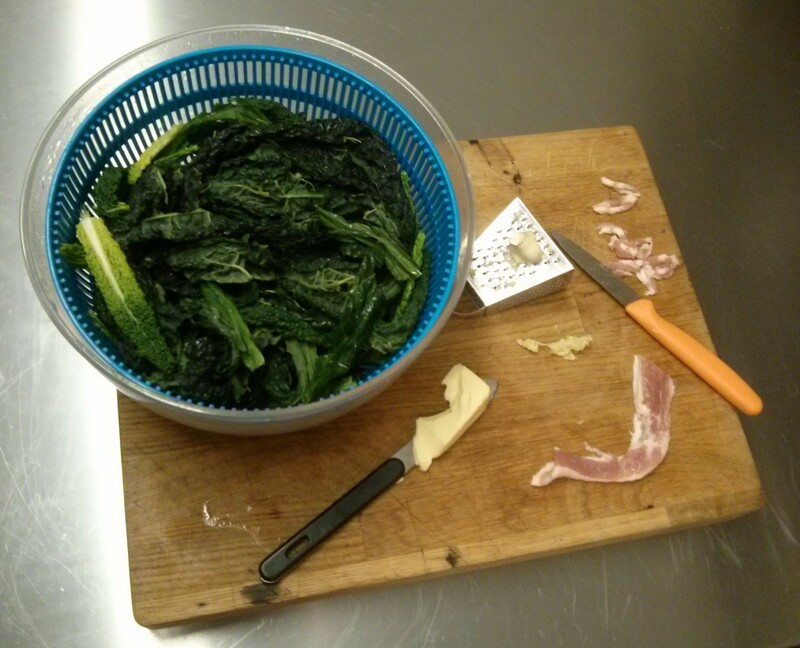 One cavolo nero, or a suitable amount of leaves – with stems stripped out. 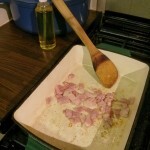 Half a rasher of streaky bacon – finely sliced. 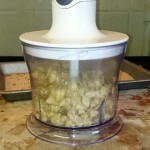 A small clove of garlic – crushed/grated/pasted. 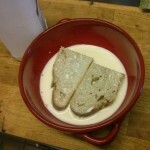 At least an hour in advance, put your firm bread into a bowl (cut/tear it if needed) and douse with just enough milk to soak it. Pre-prep all the ingredients as described above. 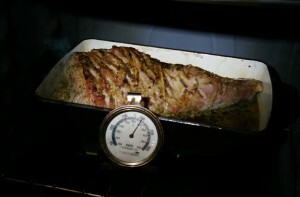 Get the roast going: Preheat your oven to 230°C. 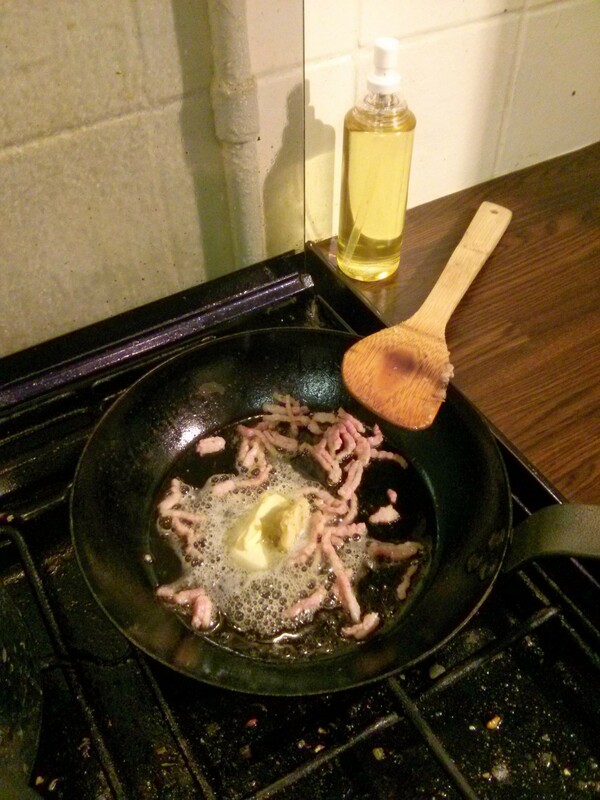 Roughly chop two strips of streaky bacon and sizzle in a little oil. I do this directly in my cast iron baking dish. 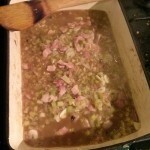 When the bacon is just beginning to brown toss in the diced onion and celery and sizzle this until the celery and onion is just lightly browning as well. At this point pour in the chicken stock and half a cup of the beer. Use the liquid to scrape off any browned-on residue, add the garlic and juniper berries, and bring this lot to simmering point. 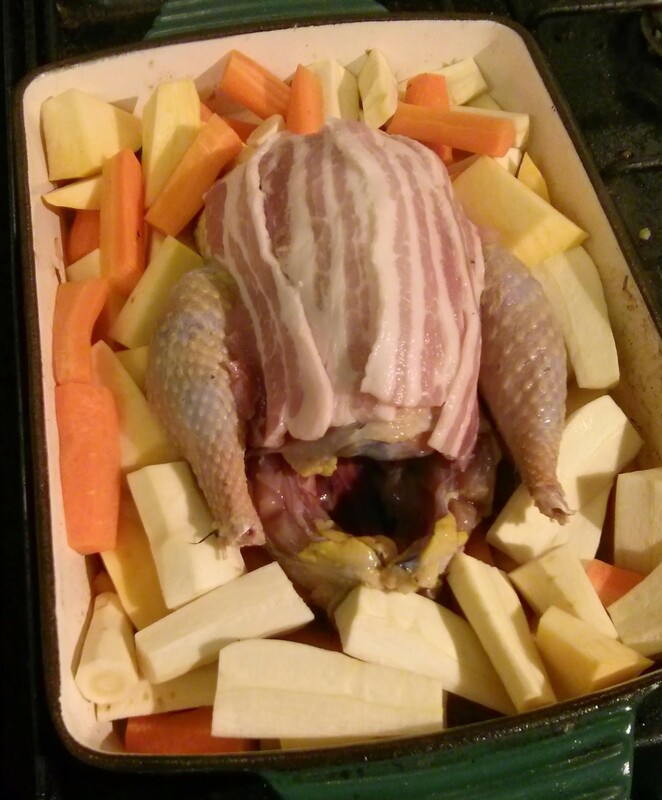 Now you can turn off the heat and place the pheasant in the middle of the roasting-tin breast-side-up. 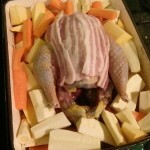 Bard the pheasant with a couple more strips of streaky bacon and pack the vegetables around the bird. 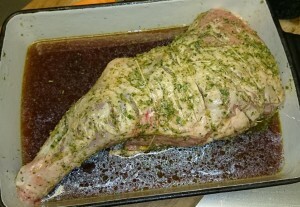 Now into the oven with it – turning the oven down to 180°C immediately. Set a timer for 45 minutes. 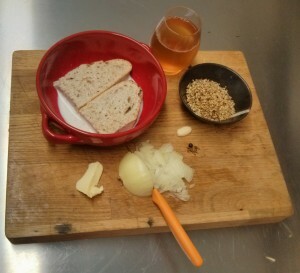 Make the beery walnut bread-sauce: Lightly brown the walnut crumbs in a small saucepan, add the knob of butter and the onion. Cook on low heat for 2 minutes to just soften the onion. 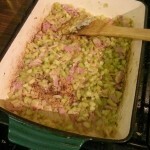 Add the garlic and juniper berries - which have both been crushed and finely chopped. Soften the spices for a minute before adding the milk-soaked bread and any milk with it, roughly tear this up. 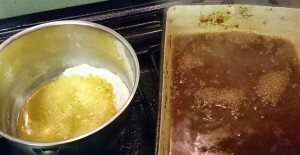 Heat and stir/mash to combine in the bread – the sauce should thicken considerably. Wet it with some additional milk if it isn’t a paste already. Add a splash of beer at a time, tasting as you go with an aim to get a beery flavour without undue bitterness. As you’re doing this you can also add salt to taste, which can balance the bitterness. 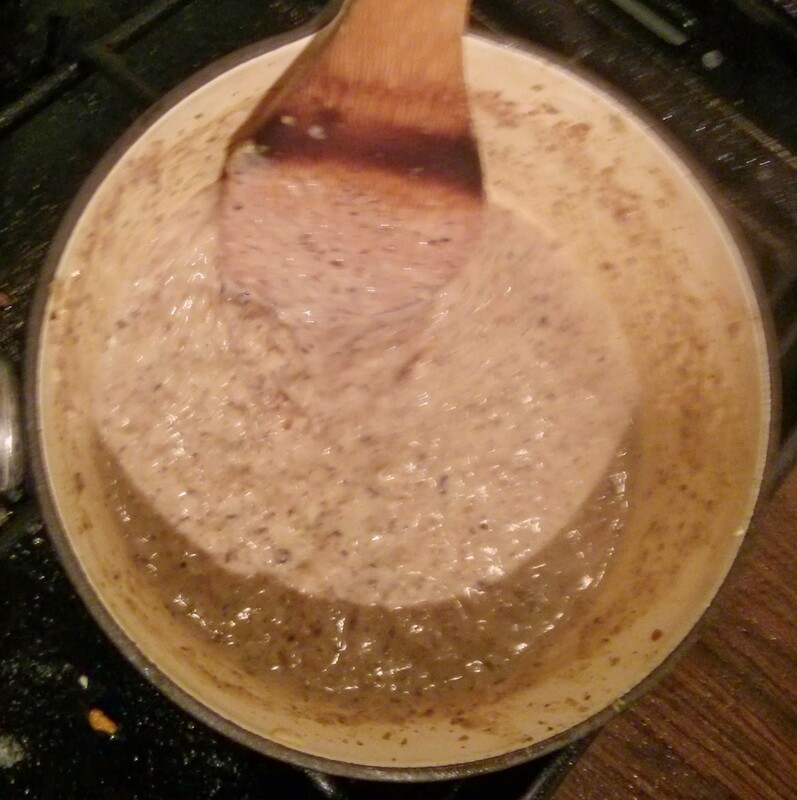 As the sauce simmers it will continue to thicken, once you’re happy with the flavour imparted by the beer start adding milk instead in order to bring the sauce to a suitable consistency (which is up to you really, I aimed for a “heapable” paste). Put a lid on it and set it aside somewhere warm. 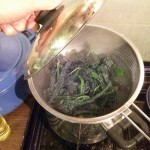 Fry up the cavolo nero: Simple: steam the leaves in a colander over boiling water until “tender” (a couple of minutes). 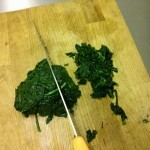 Let them cool a little before chopping roughly. 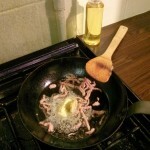 In a fry-pan lightly brown the streaky bacon in a smear of oil. Pop in the nugget of butter and melt this then add the garlic. 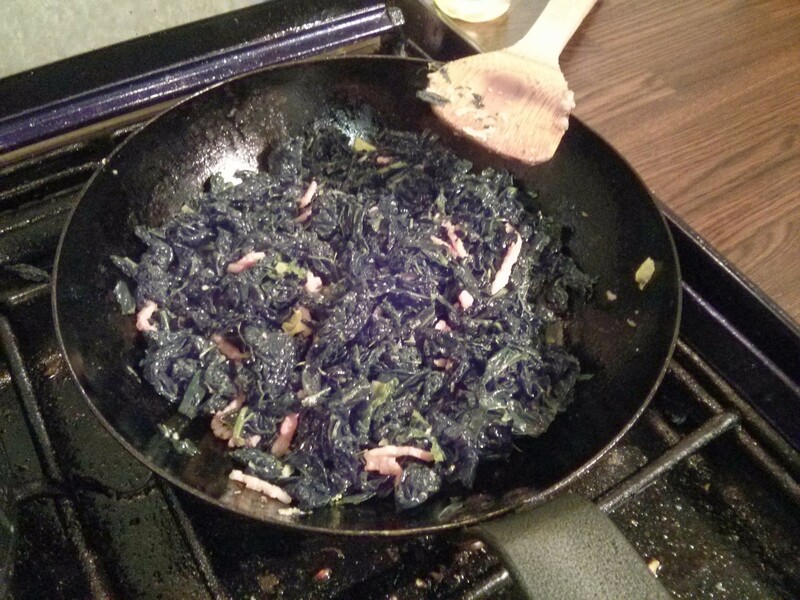 Let the garlic sizzled just a little, 15 seconds is plenty, then put the cavolo nero in and toss vigorously to coat the leaves in garlicy bacony buttery goodness. Done! 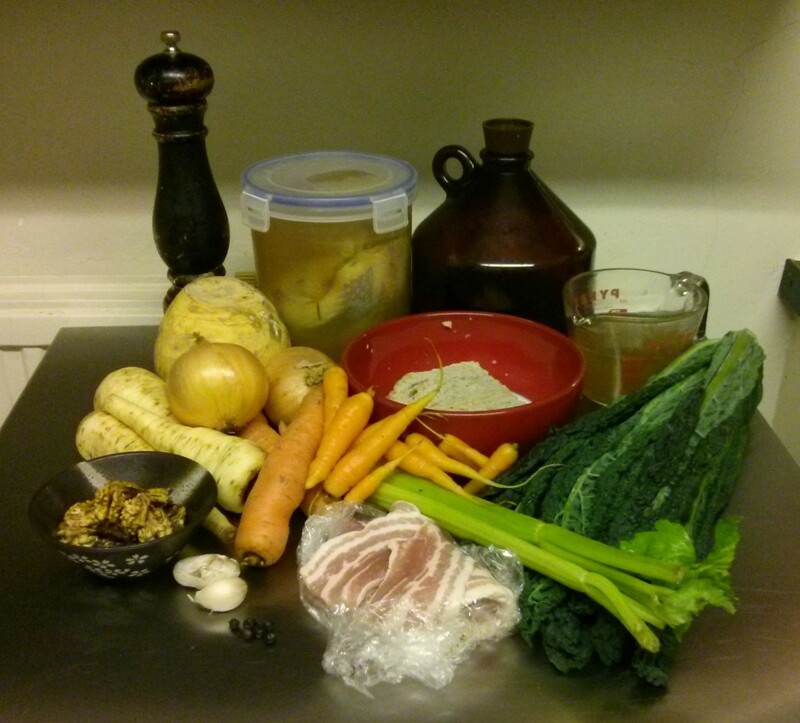 Time to “plate up”: The roast veg should be done by now, so we’re ready to serve. How you present this is up to you. I’d flip the bird back to breast-side-up, pop the bacon back on top, and take the lot to the table as-is and carve & dish-out to warmed plates at the table. 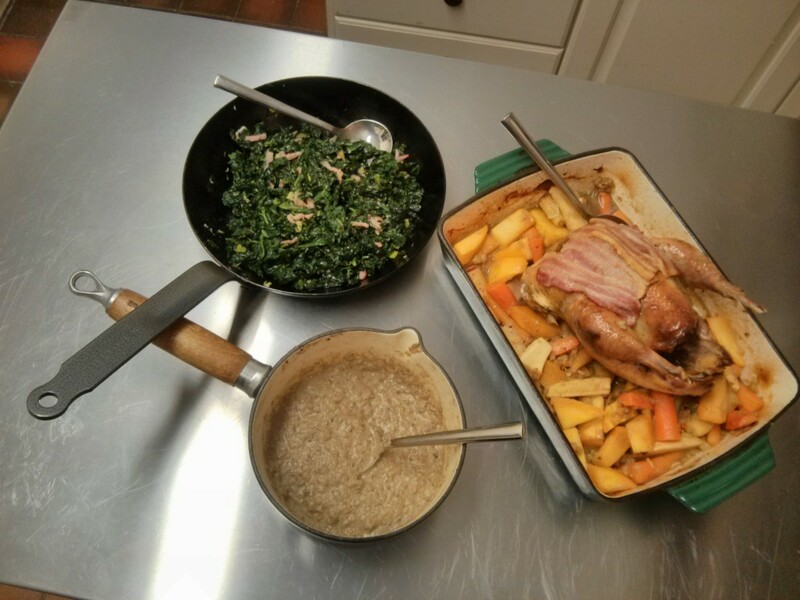 The bread-sauce may need a little warming through before going to the table. On the plate I’ve simply put down a sample of each item, a small bowl of the bread sauce, and the beery juices from the pan with celery & onion are drizzled here and there. Serve, of course, with some good beer. 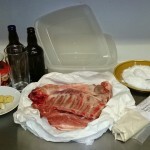 If you’ve used take-home beer in the dish like I did it is probably a bit flat & dead by now if you still have any left. 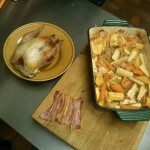 I served this dinner with Durham Brewery “Evensong” (5%)… which was a perfect match to a rich game dinner. The beer has a solid toasty backbone, it’s malt-forward and compliments both the season and this autumnal meal. 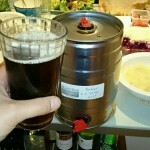 My check-in note for the beer was: “Easy drinking amber ale. Very good with a bit of roast pheasant. Robust yet smooth flavour of maltloaf, cola, and summer hay.” The brined pheasant retained an excellent moistness thanks to the brining and had picked up a subtle beery note, too subtle perhaps, though it seemed more distinct when I tried some cold the next day. 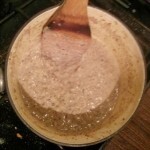 The beery notes were more to the fore in the bread sauce and pan juices and really are best described as “beery” – no fine nuances. 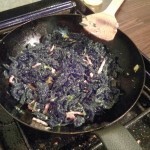 It had tended a little to the bitter side in the pan juice, but this was no trouble as this was used sparingly anyway. Overall – a success. I’d like to try brining pheasant with some different beers to test the differences – something like my side-by-side IPA beer batter test, but I really need to invite some folk over to test the results for this one! Just before Christmas I wrote about pairing beers with the various courses of my Christmas day menu. The day is now well in the past – but I’ve finally sat down and written up a quick summary of how it went. In a nutshell: well. The Tuverbol with its spicy and zesty orange notes matched the food brilliantly, especially the zesty orange vinaigrette. The lambic qualities acted as a crisp and cleansing counterpoint to the rich solidity of the cold terrine, while the beer had enough body to not seem too thin in contrast. Everyone seemed to approve of this pairing. This pairing wasn’t as successful as the first one. 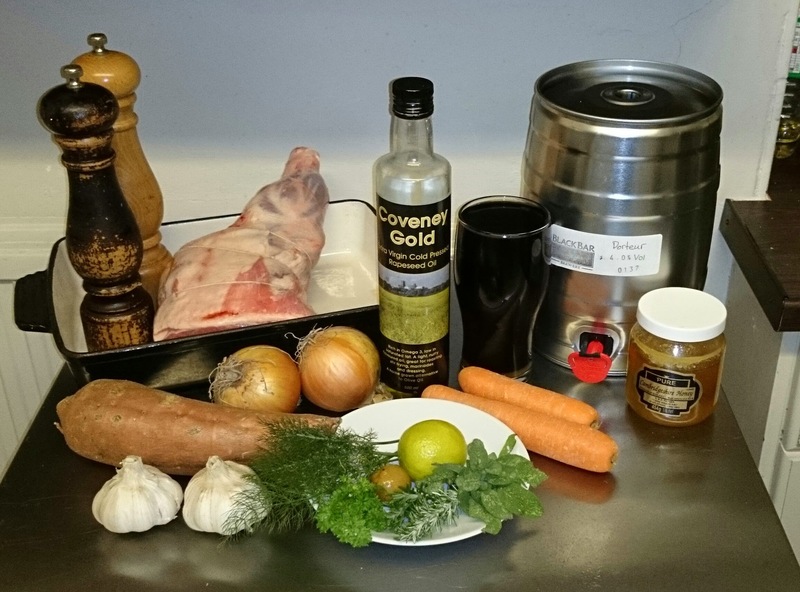 The beer was light, refreshing, and lemony and matched lemony flavours used in the dish. 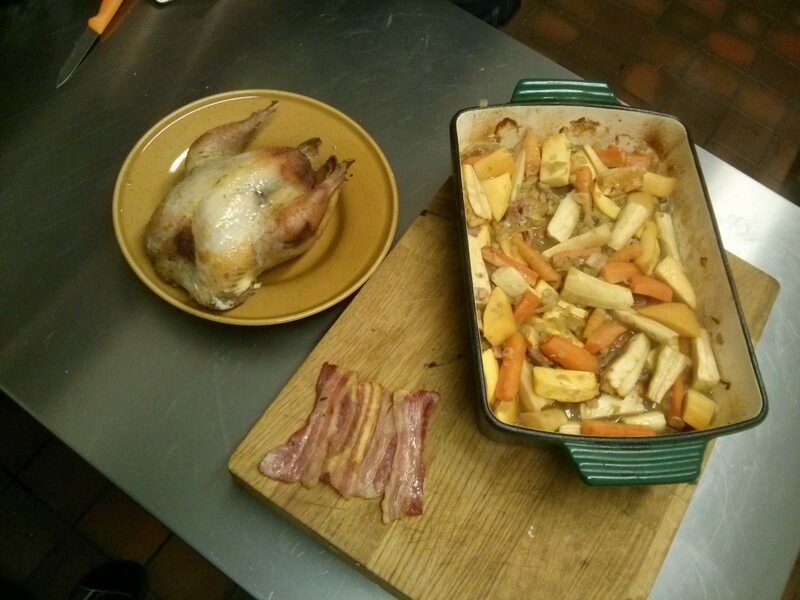 Unfortunately it didn’t really stand up to the in-your-face richness of the confit and black pudding. It was effectively drowned out – despite being quite a tasty witbier when drunk in isolation. On reflection I think this beer would be a better match for a white fish dish. In a future rendition of this pairing I think I’d try for something more hoppy and herbal. Something along the lines of BrewDog’s 5AM Saint, Moor’s JJJ IPA, or HardKnott’s Infra-Red. 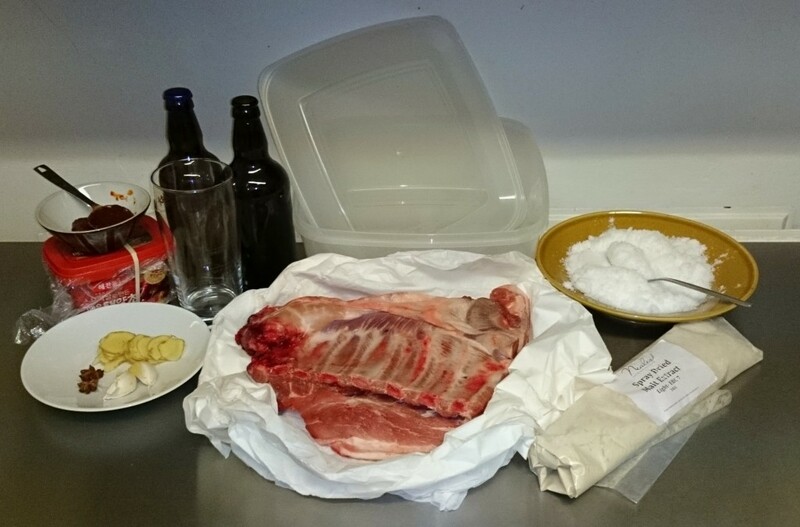 I could also, perhaps, use the same beer in the “tempura” batter used for the black pudding. I changed my mind and decided to go with a real cask conditioned ale for the main course instead of the bottled Old Thumper from Ringwood. My choice of ale was the ever-popular Colley’s Dog from Tring Brewery. 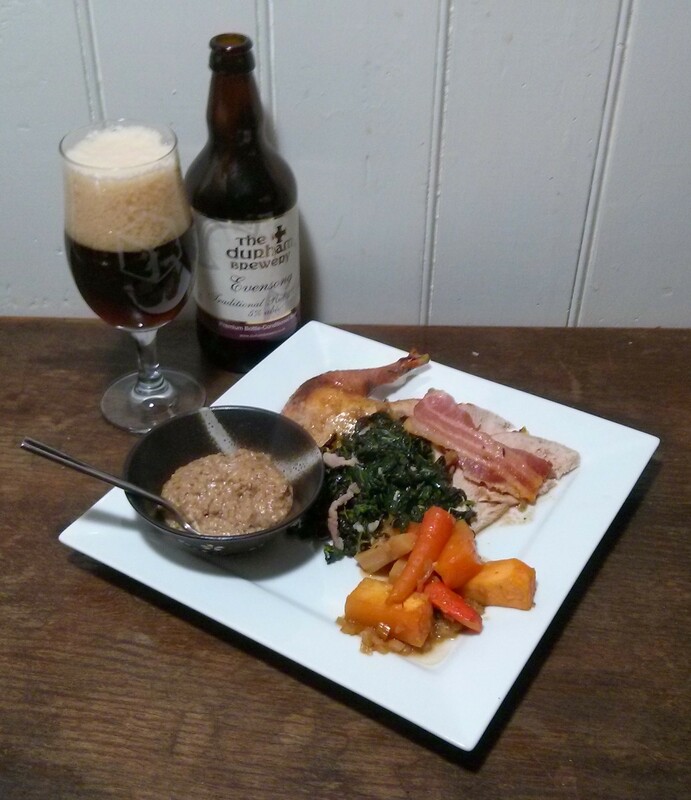 This really worked as expected, a good rich ale with a good rich meal. No pussyfooting about! 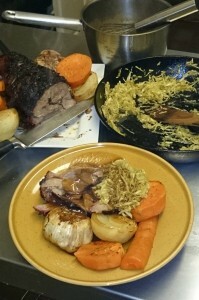 The caramel/malt body of the Colley’s Dog held up well against all the rich roasty flavours of the meal. 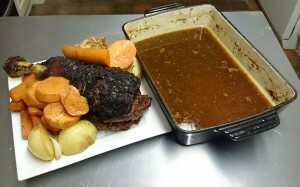 With better preparation I’d have liked to have used a bit of the Colley’s dog in the gravy, maybe next time! We sipped this while relaxing and watching Tim Burton’s “The Nightmare Before Christmas”. This was a perfect combination, as planned the beer complimented dessert like a rich and beery chocolate sauce. We didn’t actually have dessert until about 02:30 on Boxing Day though. It was a long day of cooking, eating, and gourmet beerination! I declare the matching of food and beer for Christmas experiment a success. Of course, if this meal were to be repeated there are certainly some refinements that could be made. Beer has been used here in a considered way, no swigging boxes of bland fizzy crap; rather: a careful study of flavours and textures. As you can see from the photo above we didn’t drink copious quantities of alcohol on the day. I will definitely do this again, and also put more thought toward everyday drinking of beer alongside food.